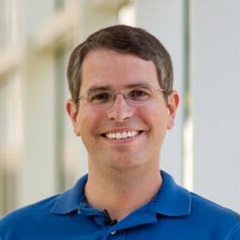 Last night on This Week In Google on TWIT.TV, Matt Cutts was a guest. Before the show, Leo Laporte, the host, asked Matt Cutts about his leave with Google and Matt Cutts said (on the non recorded part) that Google was nice enough to extend his leave until the end of this year. He said later on in the recorded part that he is not being paid, although his health insurance is being covered by the company. But he is currently still a Googler, still has a badge, but is on leave, without pay, till the end of the year. Matt first went on leave back in July 2014, so it seems Google will let him be on a leave officially for 1.5 years. The question is, what will he do when he comes back. He said that he has many many options but still loves Google. We know Matt's position at Google has been replaced. So I doubt he will come back to Google with the search quality but who knows. Meaning, he is not being paid but still officially with Google, despite many companies eager to hire him.